Take a look at Phil now! Spend One More Night with Phil! Rejoice! 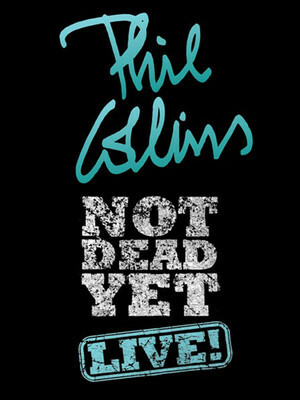 It's time to spend another day in paradise with 80s legend Phil Collins as he brings his cheekily titled Not Dead Yet world tour to North America for the first time, marking his first stateside appearances in eight years. Expect to hear all the hits as Phil makes it a family affair by taking his 16-year-old son Nicolas on tour to fill in on the drums - like father, like son. Alongside, Collins Senior and Junior will be joined by Daryl Stuermer, Brad Cole, Leyland Skylar and Luis Conte for this exceedingly exciting string of shows. From drumming for prog rockers Geneis to pop-perfection, Collins' career has taken many twists and turns with his popularity peaking in the mid 80s with anthems such as 'Another Day in Paradise','In The Air Tonight' and 'Against All Odds (Take A Look At Me Now)' scooping the British singer songwriter over 100 million in album sales, eight Grammy Awards, an Oscar and two Golden Globes. In a self imposed retirement from 2011 to 2014, he rediscovered his love of making music after doing a concert at his sons' school and re-launched his career in 2015. Thank goodness for that. Don't miss Phil, his soulful voice and power pop bops when he takes to the road again in fall 2018! Sound good to you? 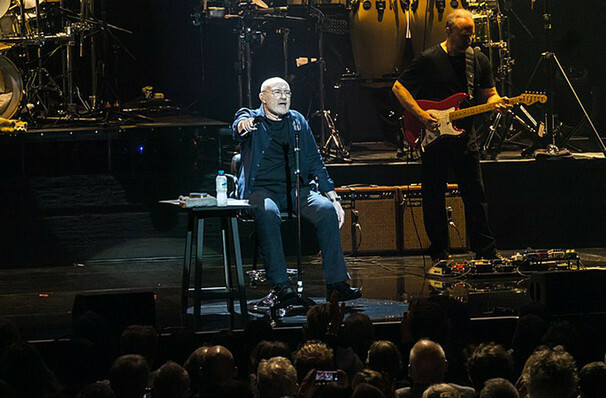 Share this page on social media and let your friends know about Phil Collins at T-Mobile Arena. He writes the songs that make the whole world sing! Americas greatest rock back celebrate their 50th anniversary! Please note: The term T-Mobile Arena and/or Phil Collins as well as all associated graphics, logos, and/or other trademarks, tradenames or copyrights are the property of the T-Mobile Arena and/or Phil Collins and are used herein for factual descriptive purposes only. We are in no way associated with or authorized by the T-Mobile Arena and/or Phil Collins and neither that entity nor any of its affiliates have licensed or endorsed us to sell tickets, goods and or services in conjunction with their events.